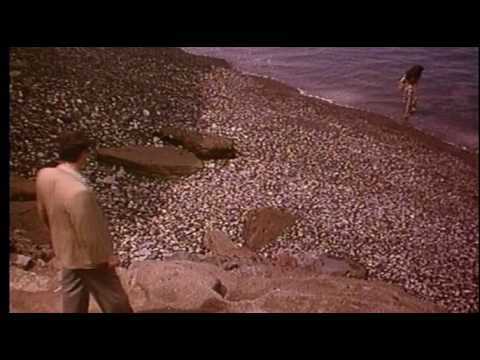 Il Postino is a 1994 Italian language film directed by Michael Radford. The film was originally released in the U.S. as The Postman, a straight translation of the Italian title. 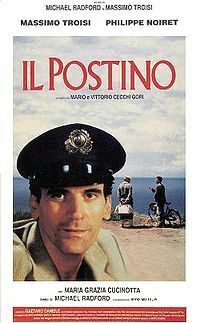 However, since the release of Kevin Costner's film of the same name, the film has been released on DVD as Il Postino: The Postman, and English-language film critics often refer to the film by its Italian title alone. The film tells a fictional story in which the real life Chilean poet Pablo Neruda forms a relationship with a simple postman who learns to love poetry. It stars Philippe Noiret, Massimo Troisi and Maria Grazia Cucinotta. The screenplay was adapted by Anna Pavignano, Michael Radford, Furio Scarpelli, Giacomo Scarpelli and Massimo Troisi from the novel Ardiente paciencia by Antonio Skármeta. Skármeta himself had previously adapted his novel for the screen in 1985 as Ardiente paciencia. Writer/star Massimo Troisi postponed heart surgery so that he could complete the film. The day after filming was completed, he suffered a fatal heart attack.